Happy customers in 52 countries worldwide - from Afghanistan to Georgia to the USA, from South Africa to Nigeria to Finland and many countries in between - are successfully using our IRIS Glass Primer for UV-inkjet printing on flat glass. “Mimaki Europe has tested the IRIS Glass Primer for the UV-LED curing products that we make and we have had very good adhesion results with this primer on different types of glass. 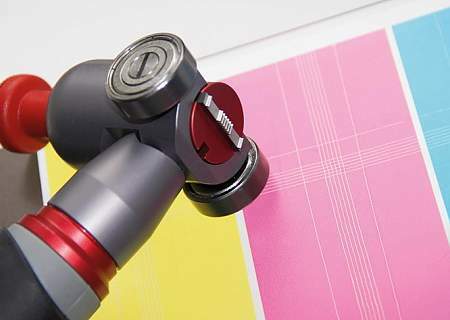 We at Mimaki would recommend the IRIS Glass Primer to users that are having difficulty getting the right adhesion with UV-LED printing on their glass products." 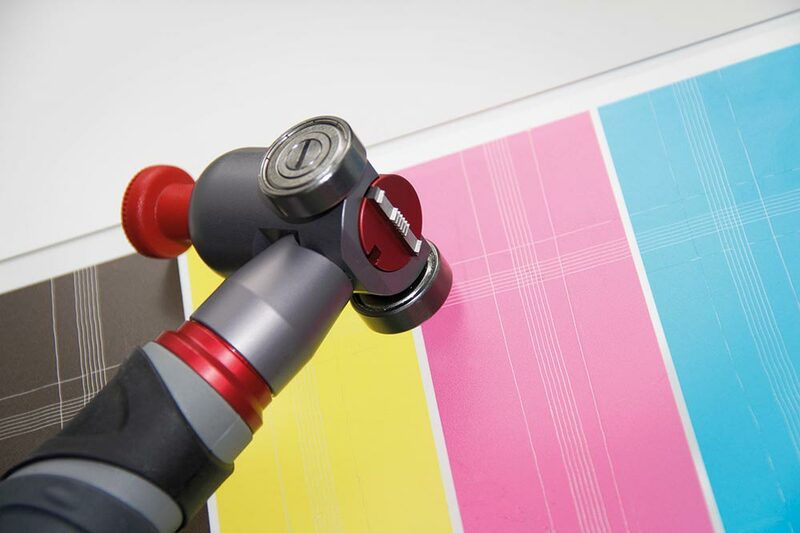 "When UV printing on a variety of materials and specially on glass you need a primer you can rely on. IRIS Glass Primer is the primer we choose to use." The liquid IRIS Glass Primer forms an adhesion promoting layer between flat glass and UV curing systems such as UV inkjet inks. The primer is applied directly to the glass surface. Once the solvent evaporates and all liquid residues are wiped off, a transparent layer is formed providing a perfect chemical bond between the glass structure and the UV-cured inkjet inks. non-hazardous, does not need to be labelled, easy shipping! up to 12 months in sealed bottle. Use up open bottle quickly. Store dark and cool at temperatures above zero degrees Celsius. Keep bottles tightly closed and away from sunlight and heat. 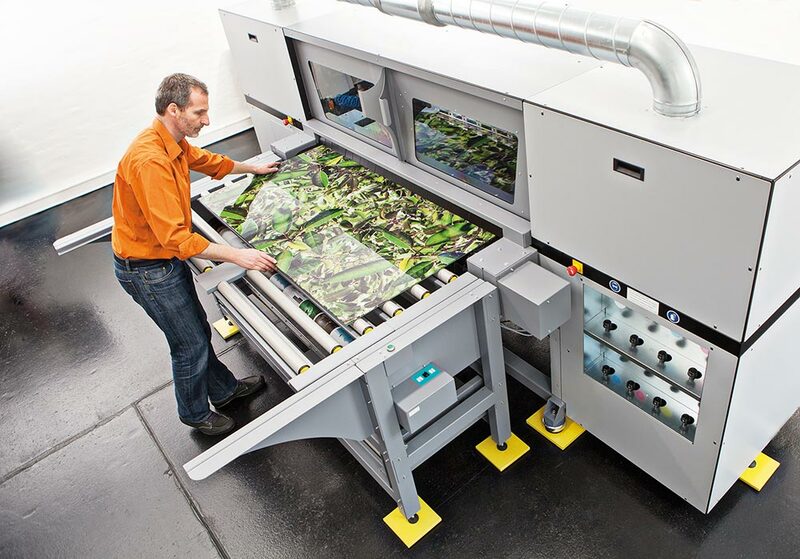 UV-Inkjet direct printing on glass. 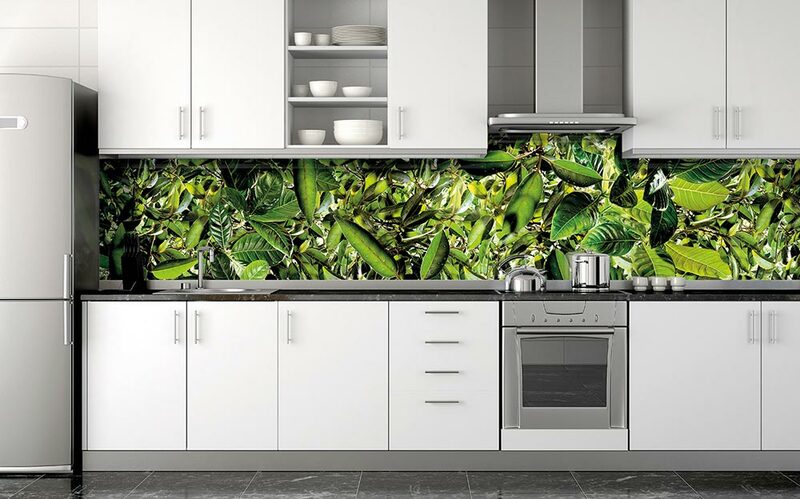 Glass-printed rear panel for kitchens. The use of protective gloves and glasses is recommended. Determine the atmospheric side of the glass*) - not the tin side - and clean it thoroughly. Use a lint free cloth or tissue to evenly and thinly apply wiping a small amount of IRIS Glass Primer. Remove liquid residues entirely by wiping and polishing with a lint free cloth or tissue until the glass is completely dry and 100% clear. Larger glass panels can be polished residue-free with polishing machine and a soft buffing disc. Finally print the primered glass with UV-inkjet inks. Let the inks fully cure for 24 hours before further processing. 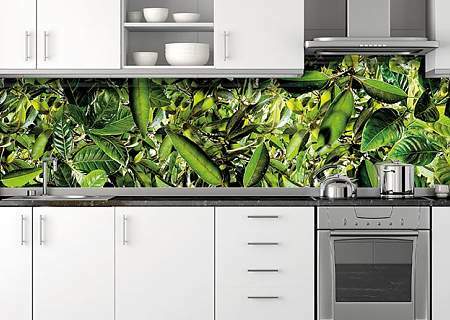 Primered glass can be stored in dark for 24 hours prior to printing. 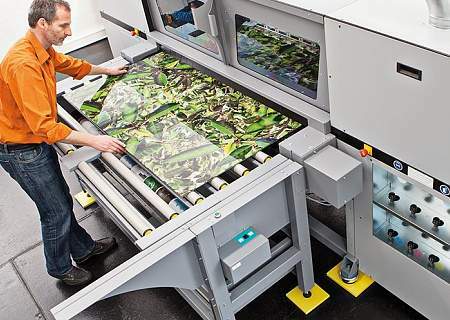 The glass surface to be treated and printed must be completely dry, free of dust, grease and other contamination. Do not apply IRIS Glass Primer at temperatures below +4 and above +50 degrees Celsius and at a humidity above 80% RH. At higher concentrations the glass primer can have a narcotic and irritating effect for the respiratory system. Care for good ventilation. The primer may cause skin- and eye irritation. The use of protective gloves and glasses is recommended. Avoid motives with very little color as well as satinato- and etching effects since ink-overspray may negatively affect the result. Do not use glass cleaners containing tensides. Isopropanol (isopropyl alcohol) with some addition of alkali is the most appropriate glass cleaning fluid. Finally rinse with destilled water and dry completely before applying the glass primer. Always apply the primer to the atmospheric side of the glass (not the tin side). All prices are net in Euro without VAT, handling & shipping. 20% VAT will be added if applicable. EU enterprises with valid VAT/UID number and all other countries will not be charged VAT. Please order by email. Make sure to send your correct shipping and billing address and the required primer quantity. If you are a company in the EU please also include the VAT number. We will send you our invoice kindly asking for advance bank transfer or PayPal payment. If you prefer to pay with PayPal please let us know. You will then get a separate request for payment by PayPal. All charges, expenses and taxes are to be carried by the customer. Once we have recieved the money or your transfer confirmation we will ship the primer. Shipping time within EU with federal Austrian parcel mail: 3-4 days after receipt of payment or confirmation of bank transfer, all other countries on request. Express-shipment on demand. IRIS Glass Primer is only sold directly online and not through distributors or dealers. Please contact office@glasprimer.at for your order.